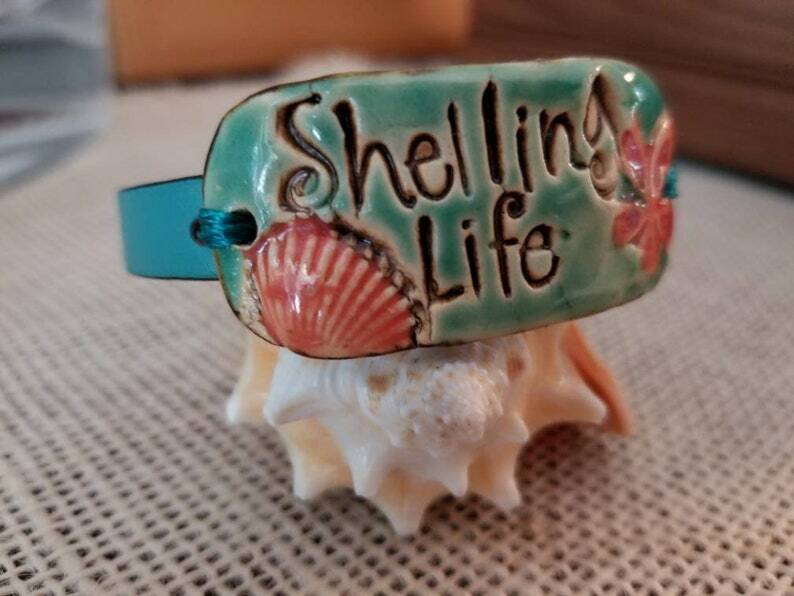 Do you love collecting seashells like I do? If so, this bracelet is for you then. The ceramic "Shelling Life" focal piece is beautifully created in a fun curly font along with a seashell and a tropical flower. The ceramic piece is done in the tropical colors of sea foam and coral. The leather band is sea foam and custom made to your size. The closure is a magnetic clasp that easily attaches to your arm with one hand.